Getting caught in her wedding dress by her drop-dead-gorgeous exhusband is Reese Michaels' worst nightmare. Especially when her perfect-on-paper fiancé then cancels their wedding! Reese has spent years trying to forget how her marriage to Mason Hicks crashed and burned – their chemistry was incredible! Mason might be her own personal brand of kryptonite, but surely life is meant to be lived a little dangerously...? Gina Carrington knows exactly how to have fun! But when she slept with her friend's brother, the off-limits Carter, she quickly discovered she'd overstepped the mark. Years later, Gina sees Carter again, and can't help but wonder what the harm would be in one more night. But Gina has secrets which she can't hide forever – will their chemistry be strong enough to keep Carter by her side when they come to light? 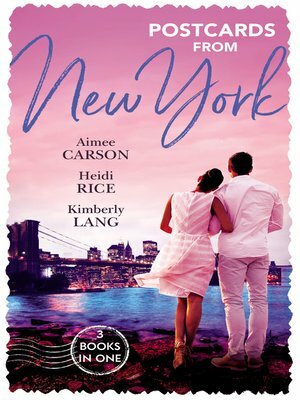 Having watched her three closest friends all find love, Southern Belle Marnie Price feels like she's the only single girl left. Luckily she's found a solution – one sizzling night with Dylan Brookes! Dylan is all about making sensible choices, and a fling with Marnie is about as far from sensible as he can get! She might prove to him that taking risks is worth it, but that doesn't mean he's ready to give up his bachelor status, does it...?